Once one of Belgium's medieval powerhouses, Ghent — about 30 minutes away from both Brussels and Bruges — oozes with cobbles and charm. But it's also a living place — home to one of Belgium's biggest universities. While there's a certain amount of urban grittiness, the heart of Ghent still looks much like it did circa 1500, when this was one of Europe's greatest cities: bristling with skyscraping towers, rich with art, and thronged with upscale citizens. Ghent is very walkable, so let's stroll through the old town in this very Flemish city, where the native language is Dutch but everyone speaks English. We'll start in a square called Korenmarkt (Grain Market), the center of historic Ghent. By the 14th century, Ghent's population was around 65,000 (north of the Alps, only Paris was larger). Two-thirds of the city's population were textile workers, making Ghent arguably Europe's first industrial city. With its wealth, Ghent became a proud city of soaring spires. Near the square is St. Michael's Bridge, which provides Ghent's best 360-degree panorama. The waterway underfoot — now plied by tourist-laden boats — was the city's busy harbor. Lining the embankment are several ornately decorated guild houses — meeting halls for the town's boatmen, grain traders, and weighers. Now let's head away from the river. Beyond a medieval church stands the big, wooden roof of the market hall. Just a few years ago, the space where it stands was no more than an ugly parking lot. Now, there's a new public square, partially sheltered by a modern twin-gabled roof meant to evoke the rooftops of medieval Ghent. While many residents embrace the market hall, some find its modern style jarring (it's been called the "Sheep Shed" and the "Hall of Shame"). Next door is the Belfry. Although most of the tower has stood here since the 14th century, a Neo-Gothic top spire was added when Ghent proudly hosted a World's Fair in 1913. Visitors enjoy ascending the Belfry for a decent, if not stunning, view over town. 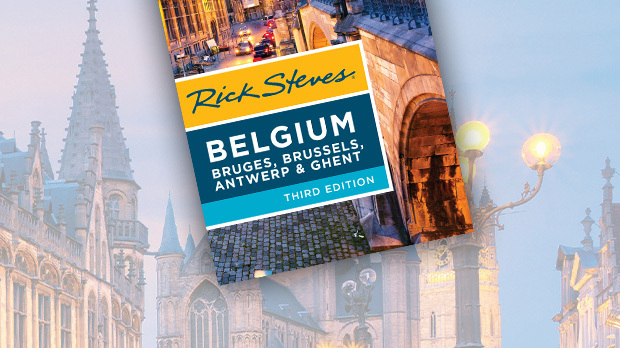 On the other side of the Belfry is St. Bavo's Square and Ghent's top sight — St. Bavo's Cathedral. This vast Gothic oyster houses the pearl of Flemish painting — the Ghent Altarpiece, also known as the Adoration of the Mystic Lamb. Jan and Hubert van Eyck's work has been called the most influential painting in European art. It was the first masterpiece done in the new medium of oil, and the first to portray the stark realism of the everyday world. Hubert began the painting, but after his death, his better-known younger brother Jan picked up the brush and completed his vision in 1432, taking a colossal stride in Northern European art from medieval stiffness to Renaissance humanism. The work is monumental: 15 feet wide and 11 feet tall, composed of a dozen separate panels, depicting hundreds of figures, and weighing more than a ton. Its central panel shows pilgrims gathered to honor to the Lamb of God (representing Jesus), while other panels depict the Annunciation, Adam and Eve, the Virgin Mary, and John the Baptist. It challenges visitors with its complex symbolism, multitude of rich details, and sheer scale, but it rewards those willing to invest the time to take it all in. 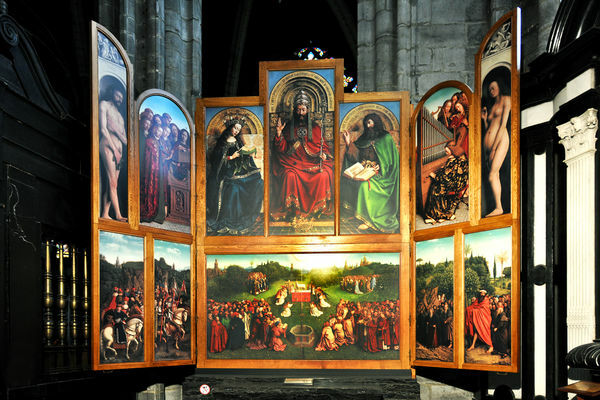 It's a miracle the Ghent Altarpiece has survived for six centuries. Perhaps the most stolen painting in existence, it's been the victim of a half-dozen art thefts — even Hitler claimed it as war booty. In 1934, someone broke into St. Bavo's and stole the Just Judges panel. More than 80 years later, the panel has yet to turn up. 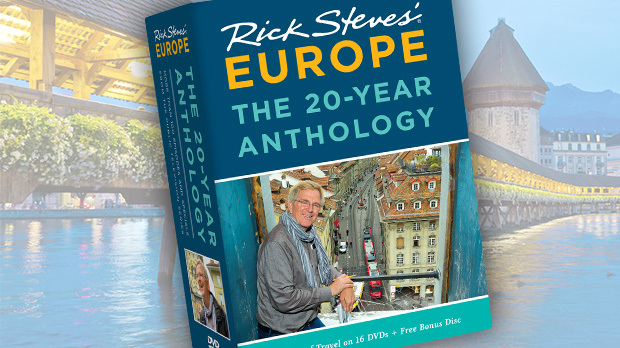 What visitors see now is a top-notch copy, and the theft remains Belgium's greatest unsolved art mystery. Now let's leave the church and make our way toward the main street of medieval Ghent — Hoogpoort. We're headed for the castle at the end of this street — the Castle of the Counts. Built in 1180, this rough-stone fortress was designed not to protect the people of Ghent, but to intimidate the city's independence-minded citizens. You get a real feel for the medieval world as you twist through its towers and ramble over its ramparts. It has all the parts of a typical castle: courtyard and keep, throne room, chapel, 18-foot-deep dungeon, and high walls. Inside are displays of authentic swords and suits of armor, along with a reconstructed guillotine that was last used in 1861. 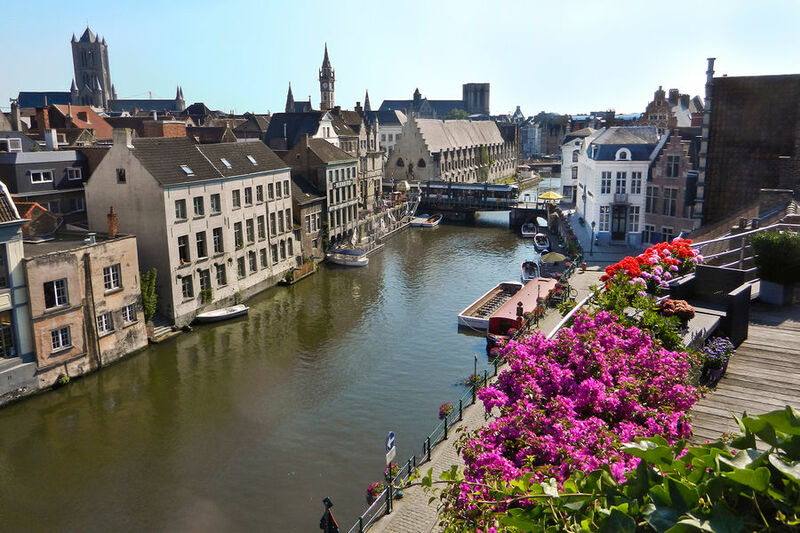 Ghent is the kind of town that you can visit for a few hours, and find yourself wishing you had a few days. While not "undiscovered," it is certainly underrated. Like sampling a flavorful praline in a Belgian chocolate shop, that first enticing taste just leaves you wanting more. Go ahead, it's OK — buy a whole box.